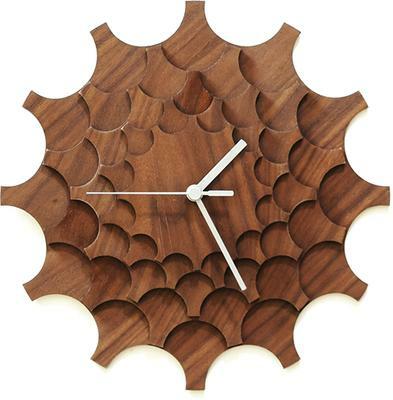 This Cogwheel Wall Clock in Walnut makes for a fancy and unique statement inside your space. 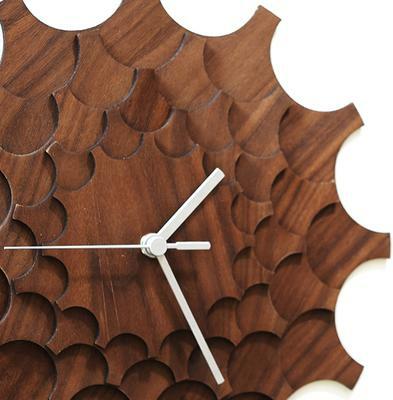 Made from plywood, it's been carefully cut to mimic the design of a cog wheel. Then each layer is glued on top of each other to create a unique spiral design that's pleasing to the eye. 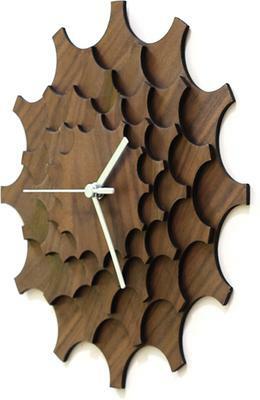 The entire piece is topped in a lovely walnut shade with the wood grain still showing through to give it a natural feel. At the centre of the clock, you get two slim white hands. 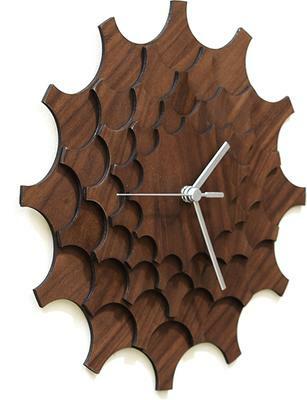 They stand out against the dark veneer so you can easily tell time. Add this to your living room, bedroom or even put it up on your office wall. It would make a lovely complement inside your room.